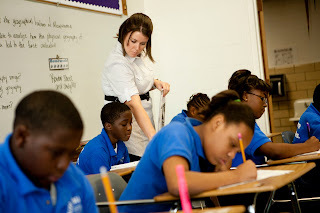 Ever Wonder How We Can Change Urban Education in Memphis? Well, as kids settle into this school year - with all the negative talk about Memphis, we wanted to share a Story of HOPE. Right in the heart of our Bluff City is a hidden jewel that we all need to know about, pray for & perhaps even partner with. In 2010, the Memphis Teacher Residency began their third year with the recruitment of hard working, passionate Christ followers dedicated to changing urban education. As twenty two graduates dig into their first year of teaching and twenty six residents seek to learn as much as possible from their mentors, the MTR exists to glorify God and make His name famous through transforming urban education in Memphis, TN. In some of the toughest urban school settings, relationships are being formed between teachers and students, test grades are increasing, and hearts are being made new by the challenges laid before them. Perhaps the news reports forgot to mention it, but Two by Two wanted to ensure you know that the US Dept. of Education thinks "Memphis, TN is the place that has the greatest opportunity to fundamentally change urban education in the United States of America!" And it's through organizations like MTR that this will be accomplished. Through teachers like Kristin Cornwell above who love like Jesus and aren't afraid to reach out to kids who others may have written off.